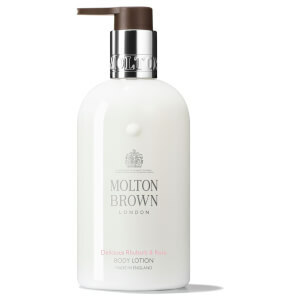 Perfectly pamper skin with Molton Brown's Gingerlily Body Lotion; a fast-absorbing moisturizer developed to nourish, comfort and hydrate from top to toe. Enriched with White Lily Extract and Polynesian Tamanu Nut Oil, the luxurious, lightweight lotion conditions and softens skin, whilst enveloping the body in an exotic fragrance of Ginger, Tuberose and Cedarwood. Housed in a pump bottle for mess-free application.